﻿ Toronto Don Valley Hotel and Suites, Toronto (ON) | FROM $88 - SAVE ON AGODA! Have a question for Toronto Don Valley Hotel and Suites? "The lobby is welcoming, the room was clean and comfortable." 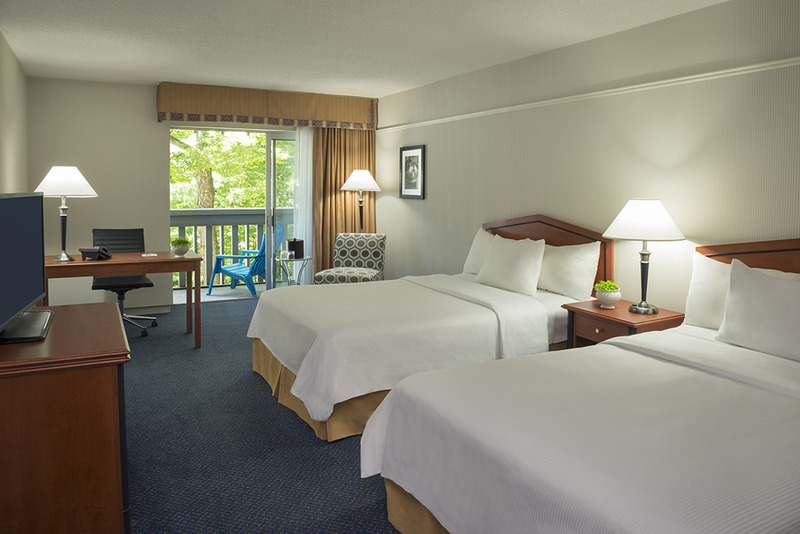 Just a 15-minute drive from the city centre, Toronto Don Valley Hotel and Suites boasts an outdoor pool with a sun terrace and an indoor pool with a glass ceiling. Modernly decorated rooms offer free WiFi. Each room comes with a coffee maker, iron, ironing board and cable TV. 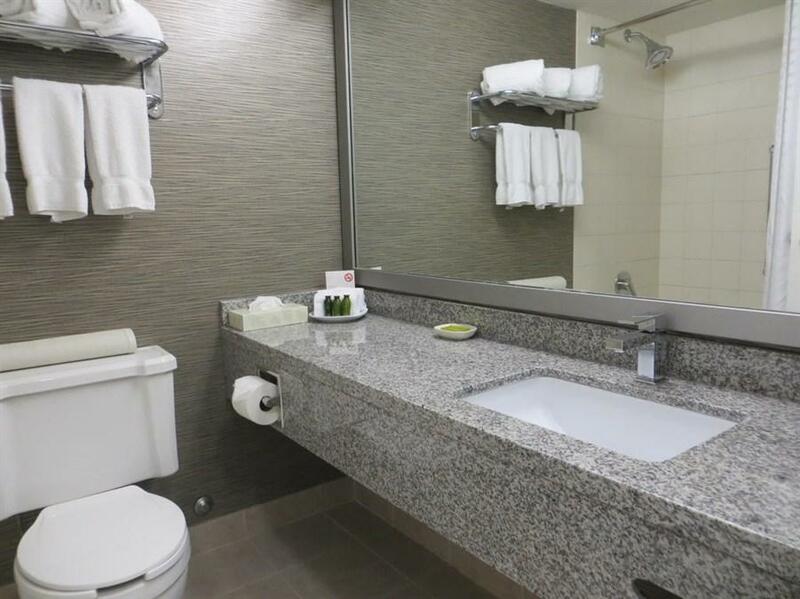 Fitted with a granite counter top, the bathroom includes a hairdryer. Most open out onto to a balcony, while others overlook the ravine. The on-site DV bar and bistro prepares a variety of meals throughout the day. A full hot breakfast is served each morning. Other facilities include a fitness centre and sauna. Staff at the 24-hour reception area can arrange a taxi upon request. 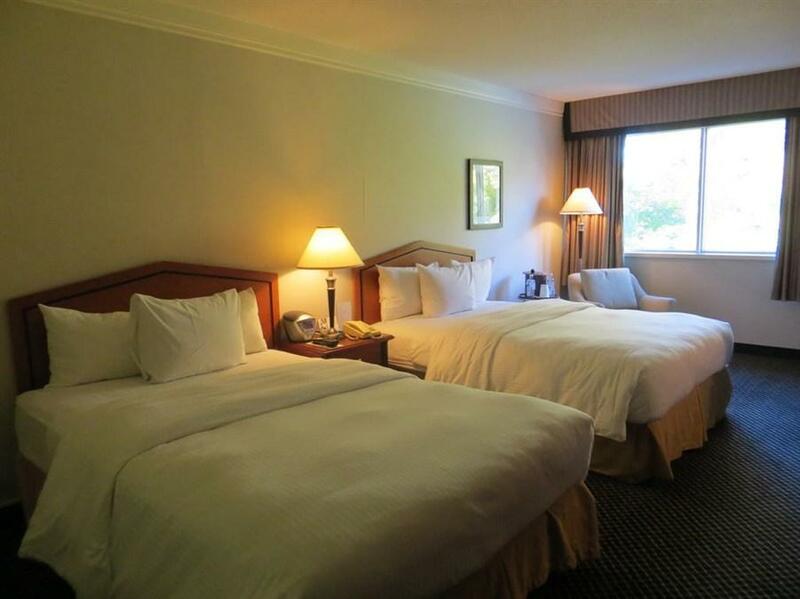 Toronto Don Valley Hotel and Suite is a 7-minute drive from the shops at Don Mills, offering various stores and restaurants. 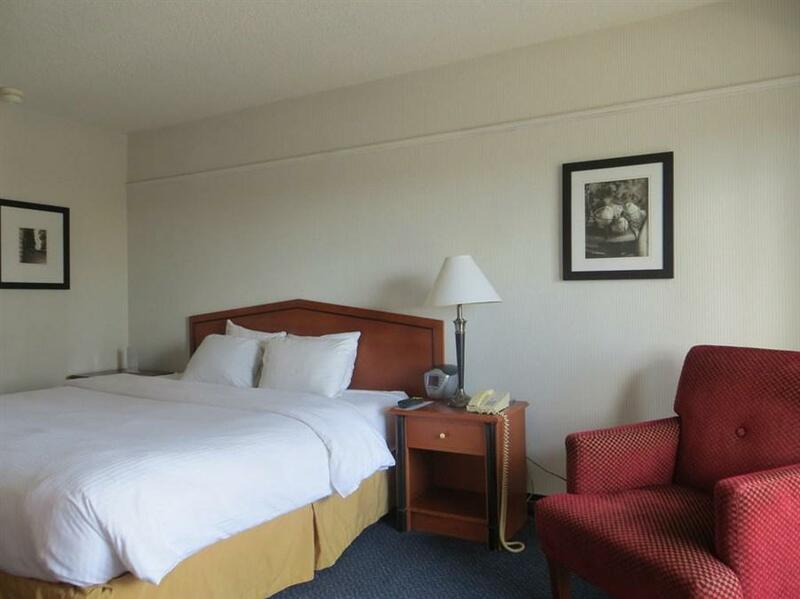 It is 15 km from the CN Tower and 33 km from Toronto Pearson International Airport. 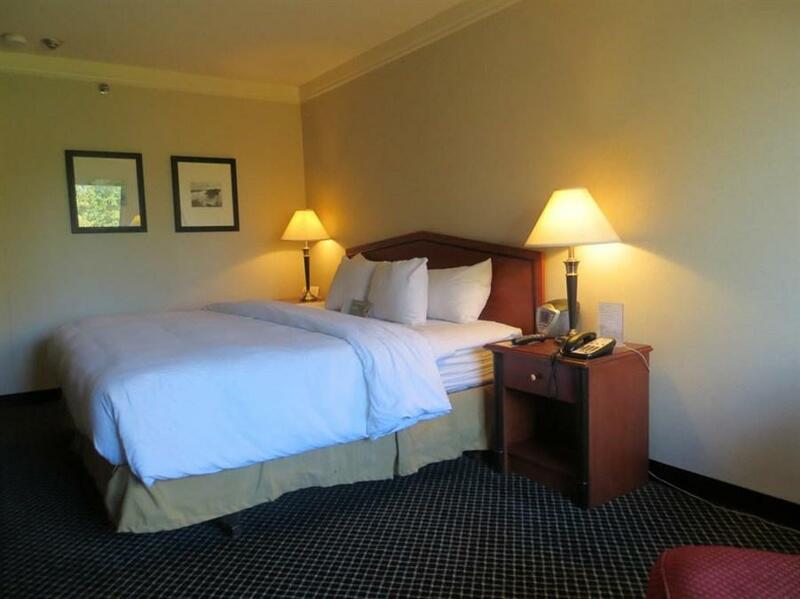 "The front desk staff were very friendly and professional." Guests are required to show a photo identification and valid credit card upon check-in. Please note that all Special Requests are subject to availability and additional charges may apply. Please note, this hotel only accepts credit card. No cash or debit card payments are accepted. Guests under the age of 19 are only allowed to check in with a parent or official guardian. Our room was not cleaned well. There was leftover shampoo/conditioner bottles and soap from the previous guests ( tells me the shower was not cleaned). There was used hair elastics left in the room, Mr Noodle wrappers on the register. Very disappointing. I called the front desk to request a clean in my bathroom. They took a while to come up, so my 2 children and I went down to the pool. I never did hear from them. When we got back to the room, the bottles were removed but the shower was not cleaned. When I told the front desk the next morning abouty comcerms, all they said was “sorry, I will pass that on”. Very disappointing, as I’m sure any other hotels would offer me a new room. I was not sure what to expect, booking a hotel I'd never been to. I was pleasantly surprised! The front desk staff were very friendly and professional. The lobby is welcoming, the room was clean and comfortable. Would definitely recommend!! Price quoted on booking was significantly less than charged. So I feel cheated. Good luck with that. I couldn't be bothered to argue with the miserable clerk at the counter.